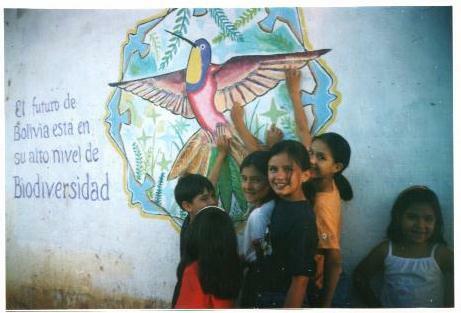 Follow this link and find out what the Rainforest Princesses in Bolivia are doing to protect the environment. Our environment worldwide is being destroyed every day so that we can live our lives as we please. Unfortunately as we take down the trees to build our homes. We forget that we are destroying the habitats of wildlife and making many species become extinct. We are also doing the same to our coral reefs worldwide when we eat marine food without conserving it at the same time. Below is information about 'The Rainforest Site' which helps to conserve our rainforests. "The Rainforest Site "http://www.therainforestsite.com" www.therainforestsite.com was founded 1 May 2000, to help protect our environment. Visitors to The Rainforest Site can save a free area of rainforest with the "click of a button." These donations, distributed by The Nature Conservancy, are paid for by The Rainforest Site's sponsors. 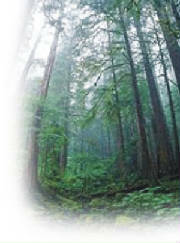 The Rainforest Site was founded by GreaterGood.com, which also operates The Hunger Site." When you visit 'The Rainforest Site' please make sure that you also visit the other important sites that help children/adults in need. For instance 'The Hunger Site' which gives free food to children/adults who are dying due to lack of food. All you do is one simple click of a button and you donate food - this is free of charge to the person who clicks the button! Please look at our other Rainforest/Marine Wetlands/American Prairies site link below "http://www.care2.com" At this site you can also donate land free of cost to save the Marine Wetlands/American Prairies as well as the Rainforests. It is also a very interesting site, full of useful information for anyone interested in the environment. You can also click on 'Take Action' which is on the right-hand side of the screen, where one click a day, can help to save the Rainforest, Oceans, Big Cats, Primates, Pets in Need, and help to prevent breast cancer. Do you know of any other websites that help to protect our environment/people free of charge (and those that help to save lives) - simply by clicking a button? If you find any of these sites can you please let us know and pass this information on yourselves, so that we can continue to protect our environment (and help children/adults in need}. Two acres of tropical rainforest disappear every second! 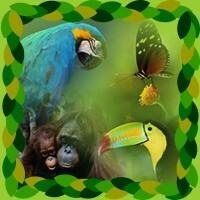 Click on this link to enter the Rainforest Site and help save the rainforests from destruction! One click of a button and you donate land free! Click on this link to help save the American Prairies and the Marine Wetlands. Click here to go to Care2, then click 'Take Action' on the right. You will then be able to 'One click' to help more Rainforests, Oceans, Big Cats, Primates, Pets in Need and Breast Cancer. Always remember the importance of Recycling! Before leaving our website please remember to follow the link below and return to our home page where you can sign our Guestbook at the bottom of the page. Have you completed our Coral Reefs' Survey? We await your views, comments and answers to our Survey. Please don't forget to email us about our Marine Dispersal Study and while you are there remember to follow the link at the top of the page to rate our Website at 'www.coralreefs.com'.